Lewis Hamilton leads at Yas Marina Circuit. Formula One’s passing numbers, especially at the front of the field, are often dismal—even with team orders accounting for some. Since passes are usually integral to entertainment quality in racing, it’s a bad deal. 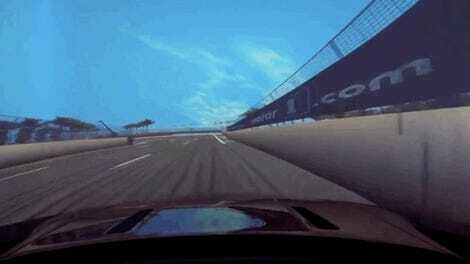 But F1 hasn’t given up on the problem, and is apparently using simulations to better design tracks. Longtime engineer and current chief technical officer at F1, Pat Symonds, was quoted by Motorsport.com as saying F1 has commissioned groups to look at different aspects on how to improve racing, and Symonds is over the “Vehicle Performance Group.” The story didn’t say what that group does in particular, but did include some of Symonds’ descriptions of the work with overtaking simulations and using them to design race tracks to better suit F1. But the simulations aren’t just being used for new tracks like the 2020 Vietnam Grand Prix one—planned to be a mix of both existing roads and new surfaces laid down for the race, which will become roads when F1 isn’t there. They’re being used on existing tracks, too, like reevaluating the often tame Yas Marina Circuit in Abu Dhabi and seeing what potential changes can be made. Symonds said he thinks the system is the “world’s first overtaking simulation,” and it’s not your typical racing simulator for computers, like the iRacing or Gran Turismo Sport games. It seems a lot more time consuming and tedious than that. “It’s been extremely complex to do. To run a lap takes several hours. “It’s a very, very complex simulation but it has a proper wake model of the cars, it looks at the surface and the tyre characteristics and all these sort of things. “We’re now using that to design our new circuits and to look at some modifications. “Vietnam, which is the first circuit we’ve really been involved with, I think that we have really been able to understand what it will take to make good racing there. F1 already has overtaking aids, like the Drag Reduction System, or DRS, that was added to cars in 2011. DRS alters the angle of a car’s rear wing to lower drag and allow drivers to overtake one another, but it has some stipulations: Each track has certain zones DRS can be used in, and a driver has to be within a second of the car in front in order to activate DRS in those zones. Oh, and stewards can cut off DRS at any time, based on track and weather conditions. Especially under its new owners, Liberty Media, the talk from F1 is always about making it easier to overtake and race more closely together—whether that be a result of simplifying aerodynamics or redesigning tracks. 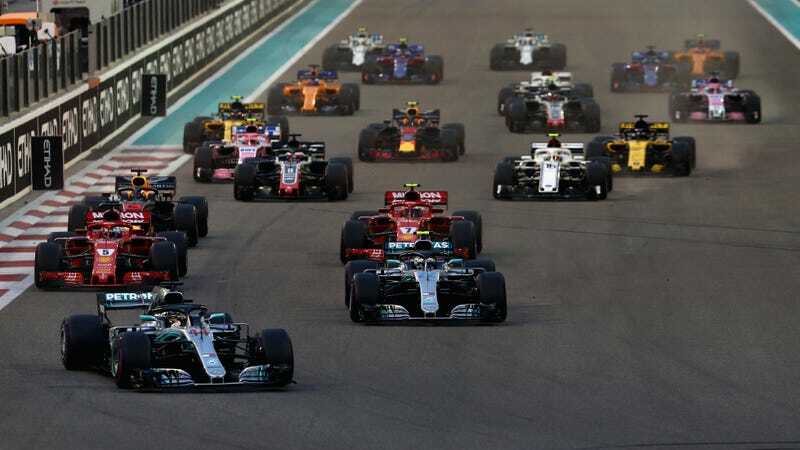 Even then, overtaking numbers for the 2017 season were miserably bad, and some drivers complained last season that the current race cars make overtaking harder. Symonds said he’s “heard so many theories how to make cars overtake,” according to Motorsport.com, but that F1 is “putting the science into it now.” It’s easy to discount the efforts with overtaking since there’s been a lot of talk about the problem in the past few years and not a ton of noticeable progress, but at least F1 and its working groups haven’t given up the fight yet. Maybe, one day, they’ll even win it—and what a day that would be.